Parking is not allowed on the Square due to the Food Truck Championship of Texas. The finish line is located on 3rd street between Pecan and West. Parking will be allowed around the streets in that area. 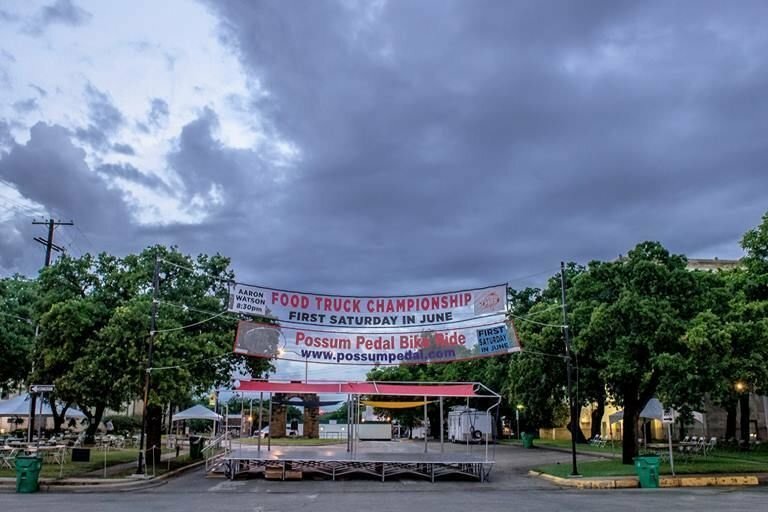 Registration and the Food Truck Championship of Texas will be on the Square, a short walk away.